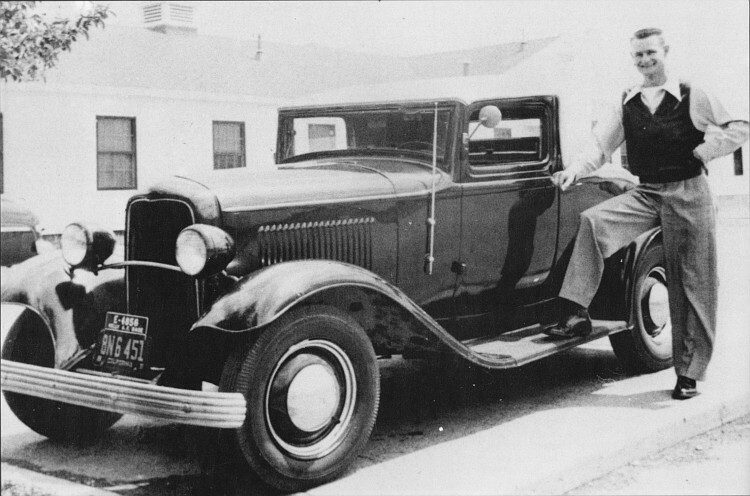 We’re not sure if we’ll would ever feel comfortable calling a 1932 Ford a custom car. But don’t these cars look awesome when customized? They get a very classy, and stylish look, when it’s done right. Usually they have a level stance with Custom bumpers, hubcaps, chopped tops and in case of convertibles, possibly a padded top. 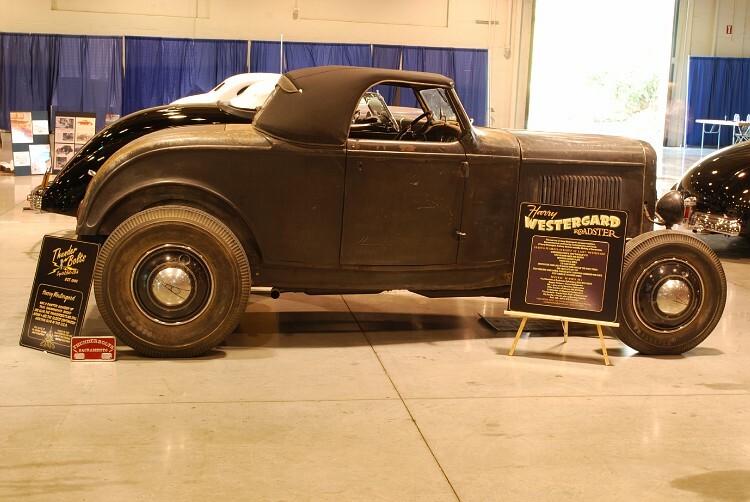 At the 2010 GNRS Customs Then & Now show we had the Harry Westergard 1932 Ford with Cadillac windshield molded in and Padded top. It was hard to convince the rest of the crew to get this car into the show. 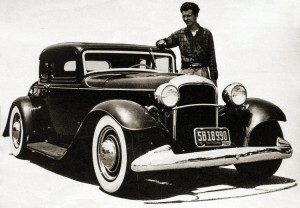 All the other’s involved felt that the 32 Fords could only be a Hot or Street Rod. But after showing them some of the photos in this post and some more talking the general feel about the 32 Ford as a very early sample of customizing was accepted into the show. 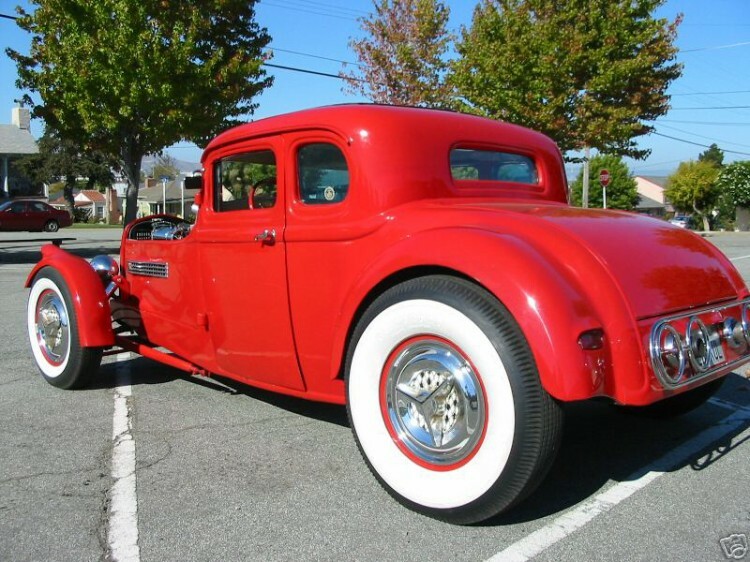 Personally we have always liked this customized look of the 1932 Fords, but why don’t we see more 1932 Fords done in this stylish customizing style? 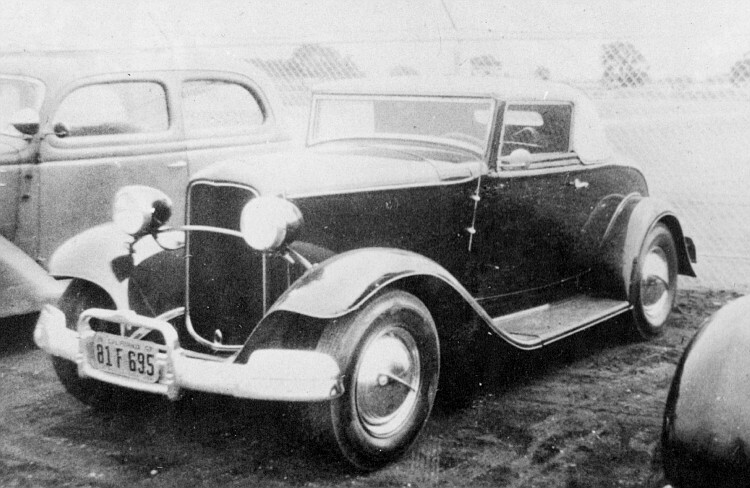 Here are some great samples of customized 1932 Fords. Probably there are plenty more, but our hot rod photo archive is not stocked as well as the custom car archive is. So if you have more to ad to this… please do! This is the Harry Westergard 1932 Ford that was at the GRNS Customs then & Now event. It is perhaps not the best sample since it still has a Hot Rod stance (at least that is what it has now) and no fenders nor bumpers. But it does have a molded in angled back windshield, and padded top. Here is a bit better sample. 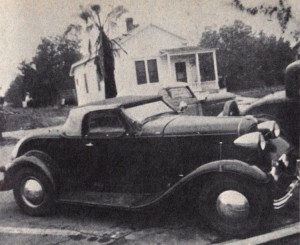 An early customizing effort by George Barris on his personal 1932 Ford Roadster. Teardrop shaped headlights and full hubcaps. Another 32 Ford Cabriolet (with full doors) with a chopped windshield and padded top and 1937 De Soto bumpers. 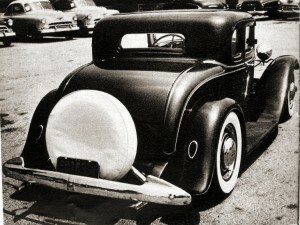 A 1932 Ford 5-window chopped coupe, channeled over the frame with Olds bumpers, chrome grille shell and same size tires and level stance. Anybody have more photos of the 1932 Fords with a Custom feel? Let us know!